Mobile App is coming soon! 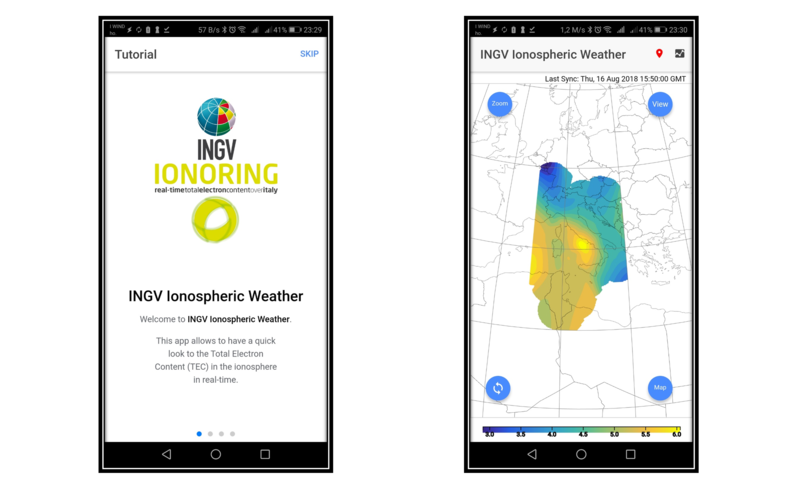 IONORING Android and iOS mobile app is coming soon. Stay tuned! September 2017 Solar Flares detected! September 2017 seems to be one the most active month of the present solar cycle from flares point of view! Solar flares are huge emissions of radiation emitted by the Sun and which can hit the magnetospere-ionoshere system of our planet, causing an enhancement of ionospheric ionization. IONORING detected this enhancement caused by the X9.3 Solar Flare occurred on September 6th as shown in the upper-left panel of the figure below. 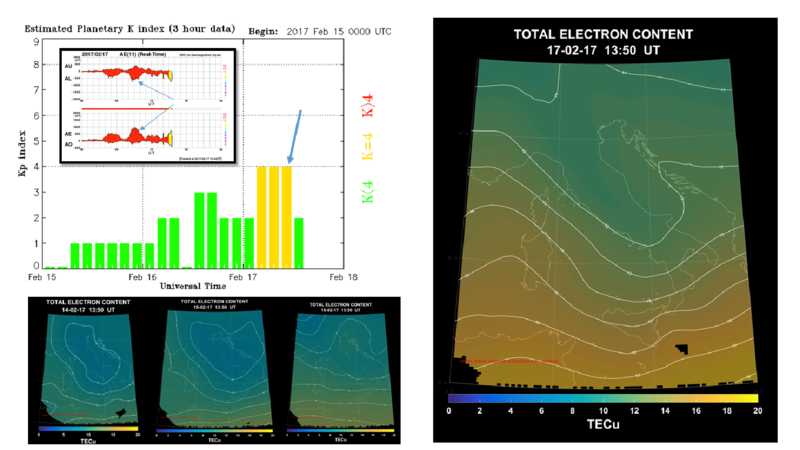 Compared to the median values of TEC (Total Electron Content) recorded at the same hour of the 27 days before (middle panel), an increase of 4-6 TECu has been observed over Italy for that day. 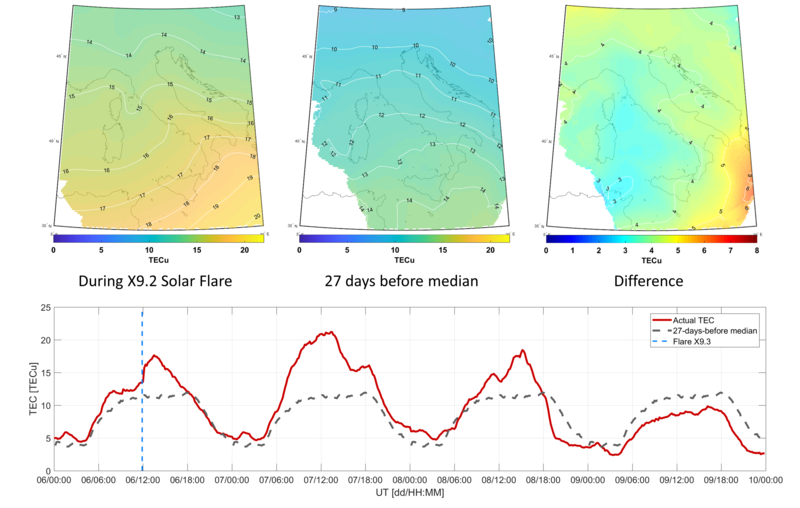 The behaviour of the ionospheric ionization is clear looking at the bottom graph showing the temporal evolution of the mean TEC compiled from 10-minute pictures over the whole map. In correspondance to the flare (blue vertical dashed line) the mean TEC value over Italy (red solid line) increased of more than 5 TECu with respect to the 27-day median value (black line), remaining at this higher level for the following two days.